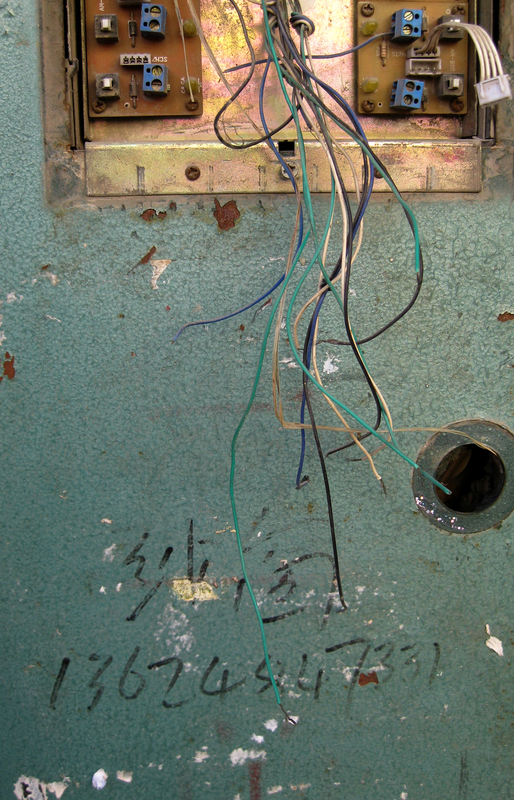 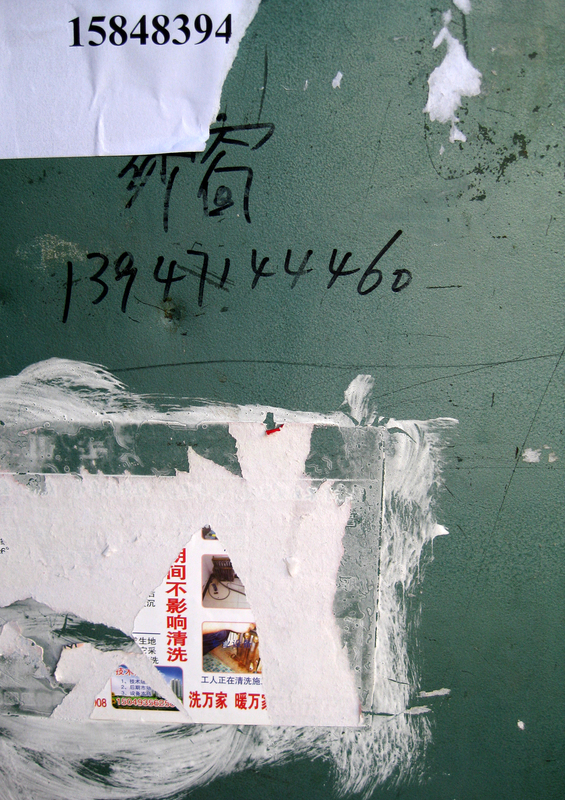 During my first visit to China in 2009 I couldn’t help but notice an overwhelming amount of graffiti in the form of numbers. 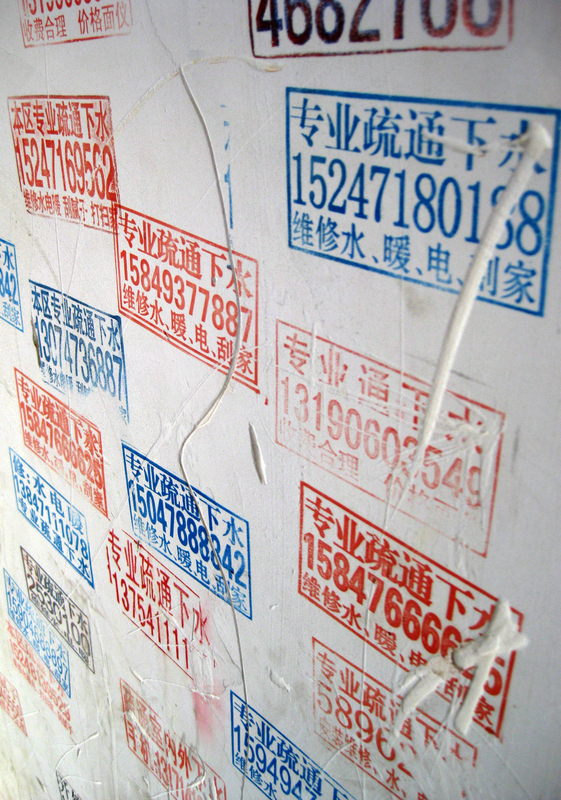 As small as a business card, or large enough to span the wall of a building, these marks made from ink stamps, paint, permanent marker, stickers, and pasted flyers, create fascinating layered textures and are ubiquitous in China’s urban environments. 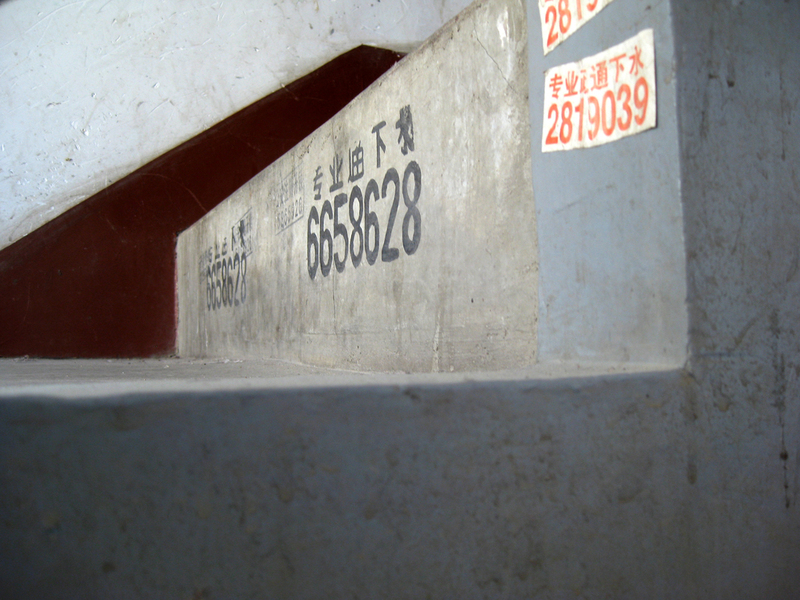 A chinese friend explained that the numbers are xiao guang gao, meaning little advertisements, and are phone numbers for all sorts of practical and illicit services, including local plumbers and electricians to prostitution and fake IDs. 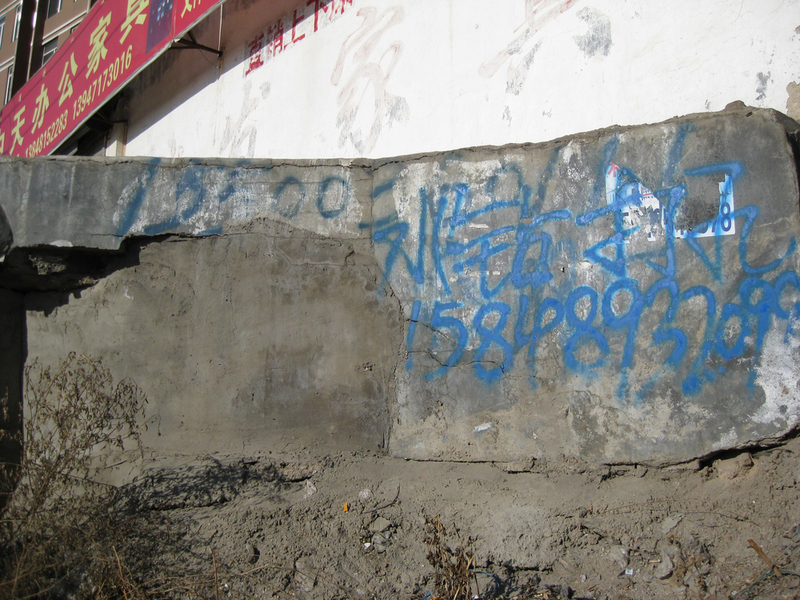 The graffiti is illegal, and although authorities attempt to control it, the graffiti is prolific and likely the largest source of advertising anywhere in the world. 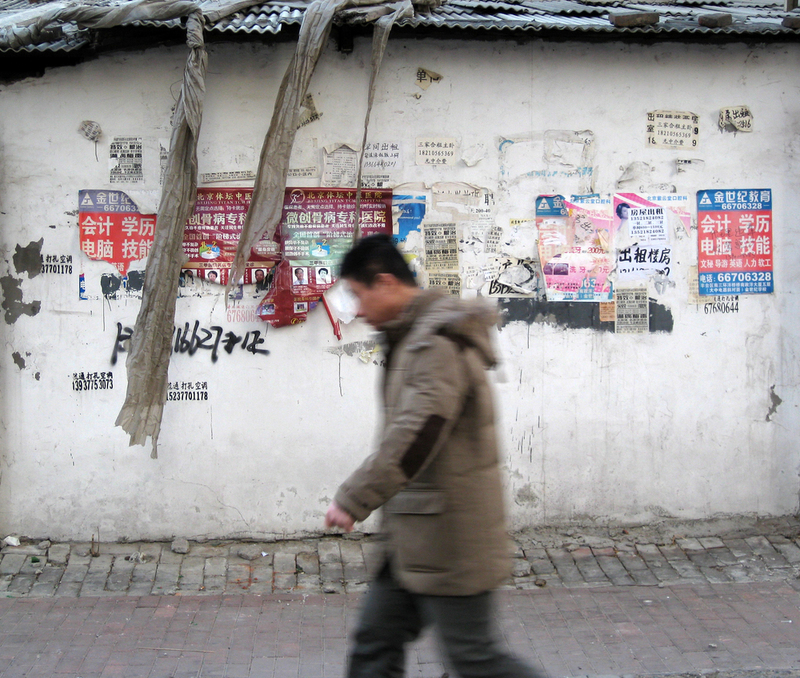 In 2012 I photographed little advertisements at several locations in Beijing and Hohhot.